The Union Jack flag has an attractive motif that makes for a bold focal point, which is every reason to keep it understated. Incorporating the Union Jack flag into furniture is a clever way to make something awesome and keep the furniture looking magnificent. 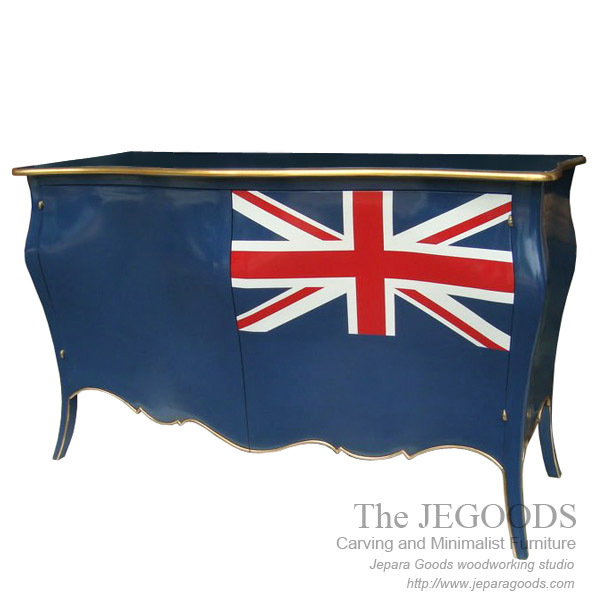 So, here we introduce you our production of The Union Jack Flag Side Chest of Drawers, a beautiful creative colors finished by skilled Jepara crafter and well manufactured in creative painted finish.